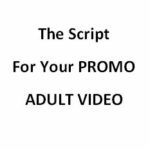 Now available Adult private label video free to use. Adult Plr is looking to be the place for all the private label rights for adult webmasters. We now have private label video clips like the one included in this article. You will see it's just about as generic as you can get but has our logo. Feel free to use this clip for your own adult webcam article. And advertise your webcam offering. Obviously you might want to remove … [Read more...] about Now available Adult private label video free to use.